2nd left En Kamaluddin Abdullah. The Tun Abdullah’s family photo. 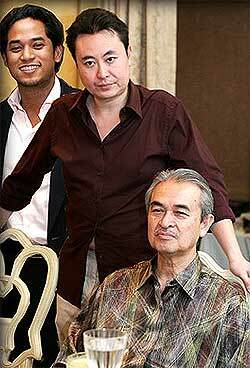 En Kamaluddin Abdullah, the son of the former PM Tun Abdullah Badawi, has surfaced in the London property dispute between the Naza’s family as reported in Free Malaysia Today. Yours truly is very surprised to learn of the allegations of the indirect involvement of En Kamaluddin Abdullah in the said report because he is believed to be one of the honest corporate figures in Malaysia and had never used his father’s influence to get business or to facilitate any deal. Tan Sri Azman Yahya, CEO of Symphony House Bhd. 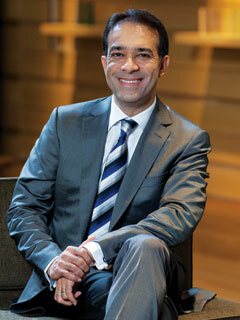 He was also a director of MAS during the MAS-AirAsia share swap. Datuk Omar Ong, director of Symphony House Bhd and a director of AirAsia. En Kamaluddin Abdullah is known to be involved in a listed company known as SCOMI Bhd. By coincidence, Tan Sri Azman Yahya is the CEO of Symphony House Bhd and also the director of SCOMI. He was also the MD of the then Danaharta. During the MAS-Asia share swap Tan Sri Azman Yahya was the director of MAS and AirAsia Bhd. It was also during the MAS-AirAsia share swap that Datuk Omar Ong, another famous personality, who is a director of Symphony House, was appointed as a director of AirAsia. Please read HERE. In December 2003, the share price of SCOMI hit an all time high of RM14.80 per share and today fell to about 0.36 Sen per share, which is understandable because the market is not so good now. Unlike in 2003 when Tun Abdullah was the PM, the market condition was extremely fertile. Tun Abdullah is the Advisor of MAS. Please do not read too much into the above, the events happened by coincidence. Below is the report in Malaysia Insider. PETALING JAYA: A delay to cement a swap agreement between late tycoon SM Nasimuddin SM Amin and Kamaluddin Abdullah, son of former prime minister Abdullah Ahmad Badawi, has caused Nasimuddin’s sister to be evicted from her home in London. With that, Nasimuddin’s sister is now embroiled in a legal battle in the UK with her brother’s first wife for a property worth £1.65 million. According to court documents seen by FMT, the fiasco started way back in 2005 when the Malaysian government proposed to sell some of Proton Sdn Bhd’s (Proton) shares due to the national carmaker’s dismal performance. Nasimuddin, who was Naza Group founder, was said to be interested to acquire the stocks and discussed the matter with Kamaluddin, who is said to have knowledge of the plan. And opportunity struck when Malaysia Airlines (MAS) announced that it planned to sell its property in London, known as the ‘MAS property’ valued at £3.25m. The sale caught the attention of Kamaluddin. Thus, Kamaluddin had asked Nasimuddin to purchase the property on his behalf, as the former’s direct involvement would cause political repercussions on his father. In return, Kamaluddin assured Nasimuddin that he would facilitate the tycoon’s purchase of Proton’s shares. Nasimuddin agreed to the deal and purchased the MAS property through his subsidiary company, ACE Elite Management Inc (ACE). However, Nasimuddin told Kamaluddin to transfer the £1.65m property belonging to the latter, with some cash payment, to reflect the difference of the MAS property. And Kamaluddin agreed to transfer the second property and the cash payment through his company, Feldspar Holdings Limited. Unfortunately, Nasimuddin passed away in May 2008, before the swap agreement could be finalised. Nasimuddin’s sister, who facilitated the swap agreement, claimed that Nasimuddin had promised to give Kamaluddin’s property to her in 2007 once the deal was sealed, in return for her hard work. She was responsible for transactional work which included vetting of documents on behalf of Nasimuddin, liaising with solicitors, advising on the commercial viability of the sale and collecting the keys to the MAS property. Nasimuddin’s sister is also a lawyer and was employed by Nasimuddin as Naza’s head of group legal adviser from 2004 to 2006. The purchase of the MAS property was completed by ACE in 2006. Subsequently, Kamaluddin moved in to the MAS property. Nasimuddin’s sister moved in to the second property in 2009. But with Nasimuddin’s death in 2008, without naming the sister as the property owner in a will, left her in a lurch. The swap agreement was completed in May 2013, incorporating Feldspar into Nasimuddin’s multi-billion ringgit estate. But Nasimuddin’s sister claimed that her sister-in-law had isolated her from the estate and was trying to evict her from the property, using Feldspar as a vehicle. “My brother put a lot of pressure on me in the litigation process of the swap agreement. Without a doubt, it was a key reason my marriage began to fail, and he knew it. “So, as my elder brother, Nasimuddin wanted to compensate me for the sacrifices I made and ensure I was financially independent,” she said in her witness claim. The case was filed by Feldspar to initiate eviction proceedings against Nasimuddin’s sister and her children from the property by a summary judgment application. However Nasimuddin’s sister is challenging this eviction by claiming funds in cash for unpaid work and the property which is worth about £1.6 million). Her basis of the claim is the unfulfilled promise made by Nasim before his death. The matter came up before the West London County Court on Dec 4 but has been adjourned to another date following an application by the sister to add her sister-in-law as a party to the suit. 1. Why the prime property in London had to be sold at that material time? 2. Whether in 2006 the MD of MAS had obtained a valuation report before fixing the selling price of the said London property at £3.25m? 3. Was the sale of the said property advertised in London and Malaysia? Ka! Ka! Ka! Kamalaudin Abdullah inolved in the property dispute involving Nza family. Kamaludin got super ears where he could hear of GLC like MAS wanting to sell properties. MACC should investigate into the deal between MAS and Nisamudin. The sale took place when idris jala was the MD I think. Good questions posed by YB. I hope the brainless will provide answers. Yes YB, those instances happened by coincidence! The Sleepy Head appointment to MAS a few months before the share suap was also coincidence. Azman Yahya director of MAs and AirAsia was also coincidence. Scandalous! Yes. Jala made minister, omar ong director of petronas air asia scomi and mas screwed up all are coincidence. Solution- bungkus MAS. Who is he to facilitate the Proton sale when he was not part of the government. But at that time he was above the government so was the SIL. The K, K K.
What other deals have been done through the 3 “K”. What happened to the Agasta motorcycle deal that was sold for RM2? Who facilitate this deal? At last it is coming out in the open. More details will be out in the court in London. That is good news! The family photo says it all. What was KJ smiling? Well he thought that he will be the Prime Minister at the age of 40. Now he has passed 40. It has been said that he was the riches unemployed. I want to be like him too. Kamaluddin should come out to clarify what was the Proton deal and the MAS property was all about? Idris Jala should also clarify about the sale of the MAS property. If Idris Jala chose to be silence then what the f..king KPI he is bullshitting about. KJ was smiling all the way. He was hoping to be PM when he is 40 years old but the Slumber Jack had to retire early. He was sleeping too much so much so that he did not know what the hell was going on in his administration and country. Kamaluddin was the man of the hour in everything. 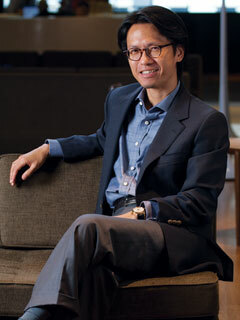 He has magic touch in business that’s why SCOMI grew to become so big. Ptui! All the events happened (including the appointment of TS Azman Yahya and Omar Ong) by COINCIDENCE! I have checked and satisfied that Islam Hadhari never forbid a PM’s son making money using privy information. It is legit Hadhari style. MACC must move in now. What had been alleged by the Naza family have all the flavor of corrupt practices. Didn’t know that Ka.aluddin was so powerful when the Slumber Jack was asleep! The Slumber Jack administration has been headed by the 3K’s and Fourth Floor. Who were the 3 “K”? Sounded like the Klu Klux Klan in BM! Kamaluddin is an angel. Ptui! Look at that disgusting son in law smile! I don’t understand why Najib had to keep people like Omar Ong, Azman Yahya and Azman Mokhtar in his administration. These characters were formerly the Tingkat Empat gang. These are the people who were deadly against Najib when he was the DPM. The Tingkat Empat boys were all out to stop Najib from taking over as the PM. please take note before it is too late. I am wondering why did that Slumber jack chose to be the Advisor for MAS after his retirement as PM. How could he advise when he is asleep most of the time. Please an interesting article about Tahir. Remember the name Tahir? Tahir is closely connected to Kamaluddin. What is the point of having an Adviser when was asleep most of the time. The amount of salary and the office space would be used for something more gainful for MAS. Was he placed there for a purpose? Why paying good money to maintain a man who is useless and sleeping on the job. Just another gaji buta! That Slumber Jack has no condition and quality to be appointed as MAS adviser unless he is put there to look after certain interest. He is good in sleeping. What a waste of good money to maintain the Slumber Jack.